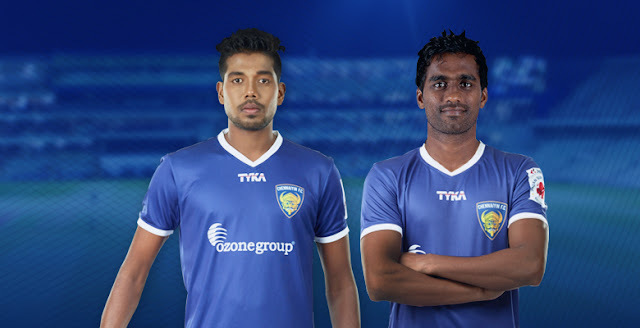 Defending Champions, Chennaiyin FC have announced the signing of Left-back Nallappan Mohanraj and Central Midfielder Dhanpal Ganesh on a 1-year deal. Both hail from Tamil Nadu and will add local flavor to the team. Mohanraj joins Chennaiyin FC on a permanent deal as a free agent after his contract expired with Atletici de Kolkata. After being left with no takers at the beginning of I-League last season, he played for Tamil Nadu in Santosh Trophy and captained the side. His good performance there earned him a call from Mumbai FC and joined them on loan. Born in Gandhipuran, Nammakal, which is 8 hours away from Chennai, Mohanraj got his early football education at SDAT Madurai Sports Hostel and SAI Chennai Hostel before appearing for India at various age group levels. He was also India captain at U-19 level and had his first professional contract at HAL Bangalore before moving to Kolkata giants Mohun Bagan, where he spent five years. Mohanraj also had a spell at Pune FC and had been part of the India senior national team setup under Bob Houghton since 2008 with the senior international debut coming in March 2011 during the 2012 AFC Challenge Cup qualifiers. The 27-year- old made 11 appearances for Atletico de Kolkata over the first two ISL campaigns with his first goal in the tournament coming last season against Kerala Blasters. “I have been playing professional football for almost a decade now and finally my dream of playing for a club in Chennai is coming true. I would like to thank all the Chennaiyin FC owners and head coach Marco Materazzi for believing in me. I can’t wait to put on the Chennaiyin jersey and play at the Marina Arena in front of our fans. Winning the ISL with ATK was great but lifting the trophy as a Chennaiyin player will be extra special and I am going to work very hard to achieve that,” said an emotional Mohanraj. Dhanpal hails from Vyasarpadi and was Mohanraj’s junior at SAI Chennai before being signed up by Pune FC for their academy. The midfielder also had a stint at AIFF’s developmental side Arrows and then went on to play for the Pune FC senior side. The 25-year- old made his senior India debut in June 2015 and regularly featured in current India coach Stephen Constantine’s plans before suffering an unfortunate ACL injury during a match against Iran last September. That injury forced Ganesh out of ISL 2015 and thus he is determined to bounce back strongly. “I don’t want to look back on the injury too much but can only say that despite that despite being ruled out of the ISL Chennaiyin treated me as any other player in the squad till the end of the season. I can’t express in words how much I am grateful to the owners and coach Materazzi for giving me another opportunity this year. 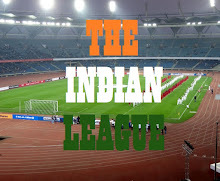 I want to repay that faith by producing my very best and help keep the trophy in Namma Chennai,” Ganesh stated. Chennaiyin FC co-owner Vita Dani said, "We are delighted to have signed two of the best Tamil Nadu-born players in Mohanraj and Ganesh. We are committed to develop local talent in Tamil Nadu and at the same time we are determined to have quality current local players like Mohanraj and Ganesh in our first team. We have full faith in them to have a great season ahead." "Ganesh was very unlucky to be injured last year. We hope to have him at his best this season. Mohanraj is already an ISL winner and has the quality to make a big difference in our title defence," said Chennaiyin FC head coach Marco Materazzi.